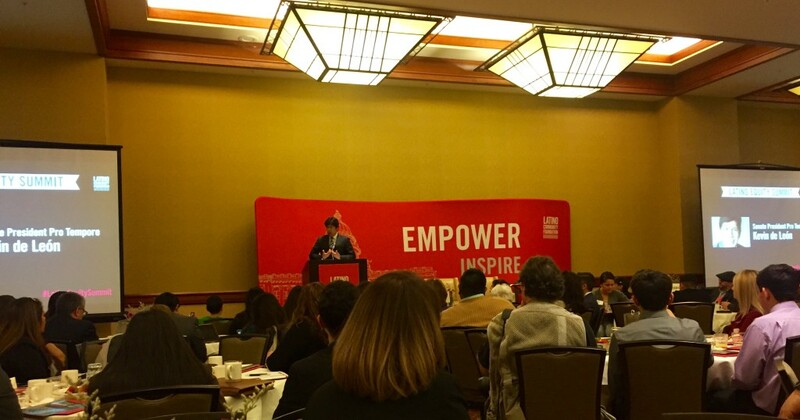 Last month, I attended the Latino Equity Summit at the Sheraton Grand in Sacramento, California. 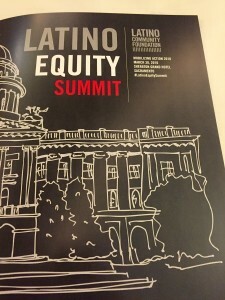 The Summit brings together Latino leaders, advocates and policymakers in an effort to discuss community solutions to assist the Latino community. This year marks a unique and historic moment in Latino politics; for the first time in the state’s history, Latinos hold two of the top leadership posts, with the appointments of Assembly Speaker Anthony Rendon and Senate President Pro Tempore Kevin de León. The Summit focused on two important issues affecting the Latino community: climate change and higher education. 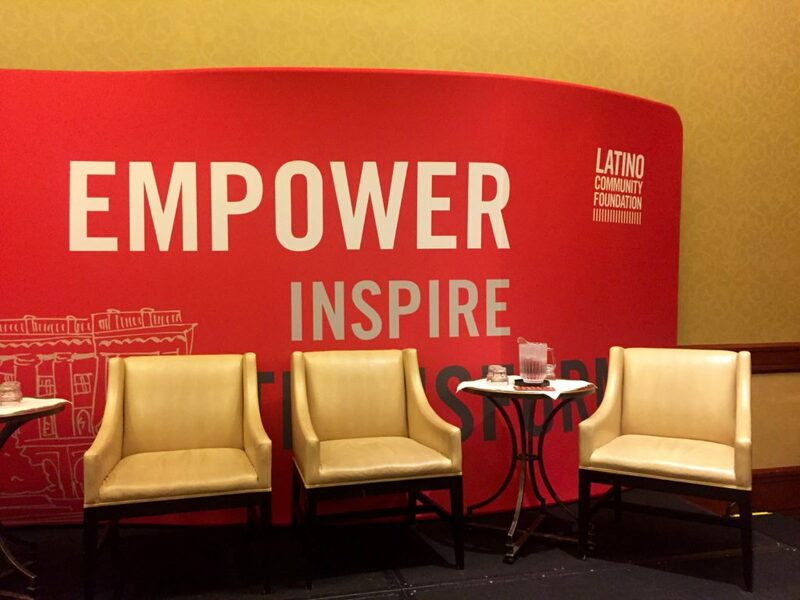 “How do we ensure Latinos are thriving and reaching their highest potential?” she asked. Her answer: 1) by securing policies that protect the environment and address climate change; and 2) advancing opportunities for Latinos to excel in higher education. California Senate President de León reminded us that California has come a long way from the days of former Governor Pete Wilson and Proposition 187, approved by California voters in 1994, which denied public services to people who were in the country illegally. (The law was overturned as unconstitutional by a federal district court.) de León, the youngest child of a single mother with a third- grade education, proudly announced that for the first time in our state’s history, two people of color are at the helm. “Latinos are the strength and backbone of this economy,” he said, echoing the words of Ms. Garcel. A panel on the environment addressed the misconception that the Latino community does not care or is not educated on environmental issues. One of the panelists pointed out that the California Central Valley has been struggling with water issues on the scale of the Flint, Michigan water crisis for decades. Another asked why no one is talking about the numerous towns in the Central Valley that have no access to water? The prevailing thought amongst the panelists and attendees was that the mainstream media does not pay attention to the issues that plague immigrant communities. According to Earth Justice and the California State Library, 92 percent of California’s farm workers are Latino and are disproportionally affected by the current drought we are facing. The panel on higher education resulted in a heated debate over how to serve the Latino community so that Latinos excel in higher education. Only 16 percent of Latinos have a college education. Yet polls show that Latinos value a higher education and in 2015, 76 percent of Latinos graduated from high school, reaching an all time high. Likewise, college enrollment among Latinos has tripled in the past 25 years. With those words, the attendees set out to meet with various state representatives to remind them that the Latino community is resilient and will persevere. I am an Oakland native and graduated from the California Polytechnic State University, San Luis Obispo, with a bachelor's degree in Political Science in 2003. While at Cal Poly, I was a member of Sigma Omega Nu and was the resident advisor for the multicultural tower of Yosemite Hall during the 2000-2001 school year. 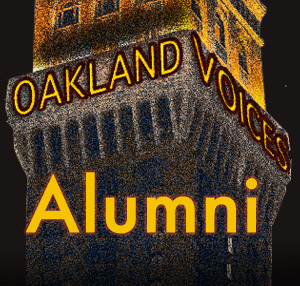 My passion for education and Oakland inspired me to focus my senior project on the state takeover of the Oakland Unified School District in 2003. After graduation, I returned to Oakland and was an AmeriCorps member in Oakland from 2004-2005, working on community building in Sobrante Park.